Making important changes to your New Westminster home can be a very intimidating experience, this is why hiring professional, certified New Westminster electricians for the electrical part of your project is key to making sure important upgrades to your home’s wiring are done safely and properly. Many older homes require an update to their wiring to make sure that they are safe for you and your family. While our electricians in New Westminster are very capable and have the experience and expertise to help you make decisions about your home’s electrical outfitting and to carry out those changes, Wirechief also notes that smaller jobs are also very important, and we will not put in any less effort when working on these smaller jobs such as light fixture installations. If Experience, Honesty, Expertise, Quality Workmanship & Friendly Service are at the top of your list, please contact us at your convenience. Why hire us as your Electrician in New Westminster & Vancouver Area? 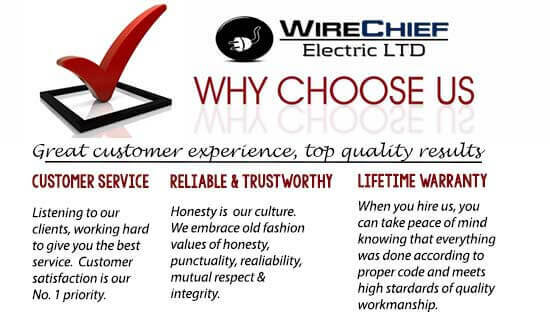 -We here at Wirechief proudly believe in and practice honesty, respect for the customer and leaving your home as clean as we saw it when we first arrived. -Not only are we professional electricians serving New Westminster, we are also experts. This means we can provide you with the advice you need to make informed decisions about your projects. 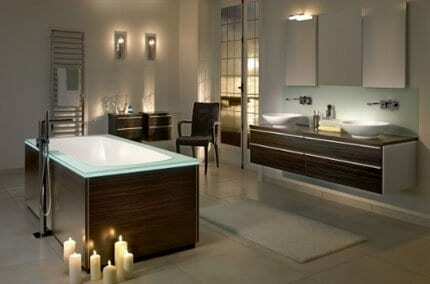 -We are sure that we do a good job, and for this reason, we offer a lifetime workmanship warranty. If you find that there are any problems with the work we have done, we will make sure to fix it. -We do not believe in tricking the customer into making electrical repairs or upgrades that they do not need or want. We practice honesty and will do the work that you want to be done in a cost and time efficient manner. -We make sure that you understand the work that is being done and why it needs to be done the way it is. We understand that an informed customer is a happy customer and we never proceed with a job without first discussing the price with you first, so you won’t get caught off guard by any expenses while working with us. -We respect our customers time, our New Westminster electricians shows up on time to carry out your job with care and expertise. Whether you require a small job or an entire home wiring update, we are the electricians in New Westminster for you. Call us at 604-800-1665 or book your appointment online.